A Zambian safari just packed with exciting wildlife viewing activities for the whole family including night drives, canoe safaris and animal tracking, plus the chance to join the children at a local school or try your hand at some traditional crafts. Fly from the UK on family friendly Emirates via Dubai. You may like to overnight in an airport hotel to break the journey and get a good night’s sleep before continuing on the next morning. You arrive in Lusaka, Zambia, mid-afternoon and take the connecting late afternoon domestic flight to Mfuwe. Your guide will meet you at the airport, where you climb aboard the open-sided four-wheel drive vehicle for the safari transfer to Kakuli Camp in South Luangwa National Park. It’s an early start for a sunrise breakfast around the campfire before heading out for your first morning safari. You return to camp for a late morning brunch with the afternoon to rest and relax before heading out for your next safari late afternoon. Children will love driving back to camp in the dark, looking out for the eyes of nocturnal animals reflected in the searchlight. There is a choice of activities available from Kakuli. You may like to head back out on safari, or you could choose to visit the local village and school, making traditional clay pots or perhaps learning to play traditional African rhythms on the drums. Back in camp you can sit and watch passing wildlife from your tent or the wooden viewing deck; elephants, hippo, and even lions are regular visitors. This morning you say farewell to Kakuli and all the friends you have made there, and transfer to Mfuwe airport. You can take a safari en route, or alternatively you may like to stop at a community textile workshop where you can create your own textile pieces to take home. From Mfuwe you fly directly down to Royal airstrip, with superb views over the Zambezi River as you come in to land. Transfer by safari vehicle to the Hippo Pod at Kasaka River Lodge and enjoy an evening around the fire listening to the sounds of the African bush. The self-contained Hippo Pod at Kasaka River Lodge is perfect for families, and comes complete with a private guide and chef which ensure that meal times and game viewing can be completely tailored to the needs of your family. Take a safari drive into the Lower Zambezi National Park, or head out on the river for a different perspective on the wildlife. Canoeing, walking and fishing activities are also available, although some age restrictions apply. Take your pick of the morning and afternoon safari activities from Kasaka. 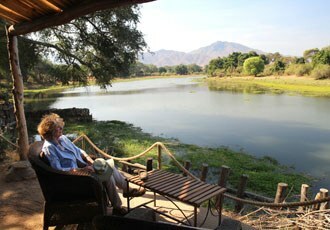 The landscape of the Lower Zambezi is very different to the Luangwa bush although it supports many of the same animals. The Zambezi escarpment provides a dramatic mountain backdrop to the rich red soil and lush vegetation here, and birdlife is prolific along the river's edge. Enjoy a final safari activity this morning and then it's back to Royal airfield where you fly to Livingstone airport via Lusaka. 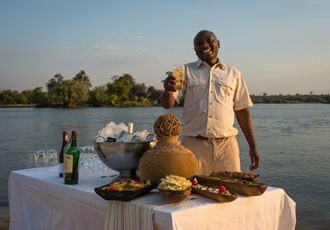 You will be met at the airport and transferred to family friendly Toka Leya Camp overlooking the mighty Zambezi River, and just 12km from Victoria Falls. Once settled in to your new camp there are a host of activities on offer for you to choose from. Today you’ll take a tour of Victoria Falls from the Zambian side and enjoy a game drive or sunset river cruise from Toka Leya Camp. 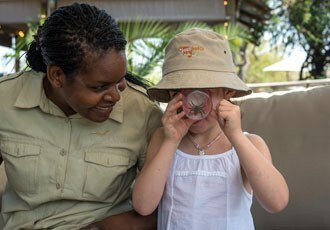 Whilst children under 13 cannot undertake walking safaris or rhino tracking, there are lots of other activities available which can be tailored for your family, from nature walks and animal tracking around the camp, to fishing - on a catch and release basis. There is time for a final safari activity this morning before the transfer to Livingstone airport for your flight back to Lusaka. The Emirates flight back to the UK via Dubai departs from Lusaka late evening. You may like to stop-off on the way home, extending the holiday with a few nights fun in glitzy Dubai. An utterly indulgent safari staying in the very best accommodation in South Luangwa National Park and on the banks of the Lower Zambezi river with luxurious rooms, exemplary service, fine dining and wonderful wildlife viewing. Fly from the UK on Emirates via Dubai. Emirates economy offers good leg-room and award-winning in-flight entertainment, and the Business and First Class cabins are also excellent. You arrive in Lusaka, Zambia, mid-afternoon and take the connecting late afternoon domestic flight to Mfuwe. Your guide will meet you at the airport, where you climb aboard the open-sided four-wheel drive vehicle for the safari transfer to Mchenja Camp in South Luangwa National Park. 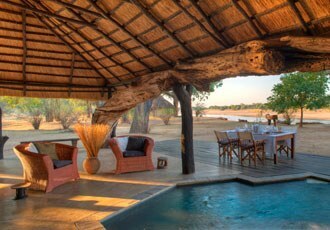 Here, six stylish octagonal tents sit beneath magnificent ebony trees on the banks of the Luangwa River, and you will be warmly welcomed by the friendly team who run Mchenja. After a sunrise breakfast watching the hippos and elephants in the river below as you eat, it is time to head out for your first morning safari. You can choose to safari from an open game-viewing vehicle, or on foot led by an expert walking safari guide and accompanied by an armed scout. 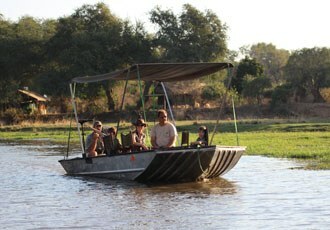 A morning and an evening safari activity are available each day. Today, you pack your bags before breakfast, as your morning safari will extend into the transfer through the park to your next camp, the wildly luxurious Chinzombo. 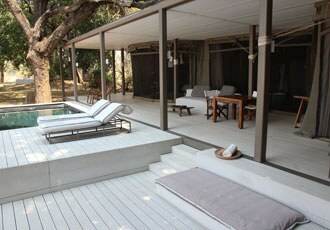 Each of the six, spacious, tented suites at Chinzombo has its own deck with outdoor seating area and private plunge pool. The suites have ceiling fans and air-conditioning around the beds, and cleverly combine traditional rustic touches with a modern, minimalist style. An early morning safari activity will be followed by a relaxing brunch on the terrace. Then indulge in an in-villa spa treatment, or lounge by the pool looking out for passing wildlife until your afternoon safari. Chinzombo is set within 60 acres of wildlife rich private land alongside the Luangwa River, and has its own direct access into one of the most game-rich areas of the national park. Whilst the camp is unashamedly luxurious, the opulence comes hand in hand with delicious food, superb service and top notch safari guiding. 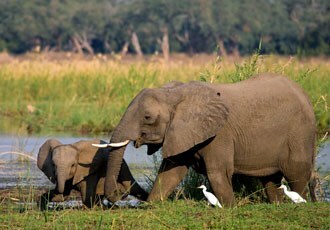 Leaving Luangwa you transfer to Mfuwe for your flight down to Royal airstrip for the Lower Zambezi National Park. Here you can choose from a private suite at Chongwe River Camp or, if you are travelling with a group of family and friends, we recommend the stunning 4-bedroom private Chongwe River House. Both have picturesque settings on the banks of the beautiful Chongwe river, and elephants and other wildlife wander freely around them. The landscape of the Lower Zambezi region is spectacular, the mountain backdrop and lush riverside colours offer a real contrast to the dry season plains of Luangwa. There is also the added attraction of being able to explore on the water itself by boat, or for the adventurous, in a canoe. You will enjoy two safari activities each day whilst at Chongwe or you can simply relax in style and watch the wildlife go by. Enjoy your final early morning safari. Then in the afternoon say farewell to Chongwe as you fly back to Lusaka to connect with the evening Emirates flight to the UK via Dubai.